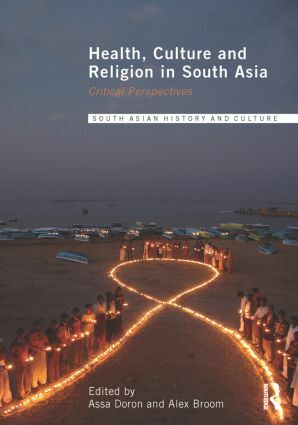 Health, Culture and Religion in South Asia brings together top international scholars from a range of social science disciplines to critically explore the interplay of local cultural and religious practices in the delivery and experiences of health in South Asia. This groundbreaking text provides much needed insight into the relationships between health, culture, community, livelihood, and the nation-state, and in particular, the recent struggles of disadvantaged groups to gain access to health care in South Asia. The book brings together anthropologists, sociologists, economists, health researchers and development specialists to provide the reader with an interdisciplinary approach to the study of South Asian health and a comprehensive understanding of cutting edge research in this area. Addressing key issues affecting a range of geographical areas including India, Nepal and Pakistan, this text will be essential reading for students and researchers interested in Asian Studies and for those interested in gaining a better understanding of health in developing countries. Assa Doron is an anthropologist in the School of Culture, History & Language at the Australian National University. His research interests include religion, identity politics, gender and popular and new media in North India, as well as alternative medicine and biomedical practices across India more generally. He is the author of Caste, Occupation and Politics on the Ganges: Passages of Resistance (Ashgate, 2008) and has co-edited 'The Cultural Politics of Disadvantage in South Asia', for Asian Studies Review (2009) and the article Caste Away? Subaltern engagement with the modern Indian state, Modern Asian Studies 22, 4 (2010). Alex Broom is a sociologist at the Faculty of Health Sciences at the University of Sydney. His research focuses on cancer and palliative care, complementary and alternative medicine, mens health, and international health and development. He has written on a wide range of health issues within diverse cultural contexts including the UK, Australia, India, Sri Lanka and Pakistan. His recent books include Therapeutic Pluralism: Exploring the experiences of cancer patients and professionals (Routledge) and Mens Health: Body, Identity and Social Context (Wiley-Blackwell).